Many of you will have heard about the major further earthquake that struck Nepal on 12 May, over two weeks after the initial earthquake which devastated the country. We were again in immediate contact with our team on the ground and are relieved to report that they are safe, although they spent the first night in an open camp for fear of further aftershocks. The situation in the villages is unclear, although many people had moved to temporary camps set up by our local team and other aid organisations working in the area. Our key focus has been the provision of tarps and shelter kits to affected areas. The monsoon season is fast approaching and our team have been working hard to gather materials. More than 1000 additional tarps are due to arrive this week, and 500 blankets have also been ordered. The solar cell initiative has been particularly helpful, with tele-communications now opening up right across the valleys which helps to facilitate the aid effort and allow our team to prepare an accurate needs analysis. 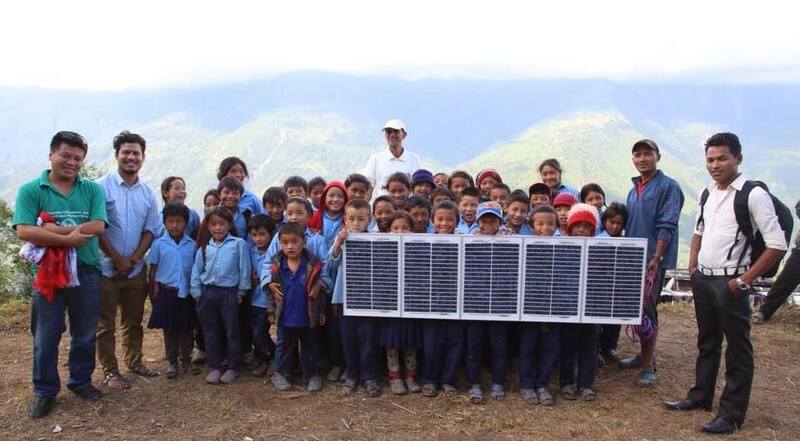 In total, 45 solar panels have been distributed with a large number of these going to schools. In addition to facilitating communication, they provide a little much needed light in the night which is essential for safety. Our team have been transporting food supplies to villages that are expected to last a month. Noodles, rice, biscuits and other staples will help keep the community going until further provisions are made. Intrepid members of the HELP team have been travelling to remote areas to equip community leaders and teachers with mobile phones to help us reach out to even more affected areas. 17 boxes of basic medical supplies have now been distributed to villages. Our team have also setup a temporary care centre for children from the valley in Kathmandu, equipping it with blankets and other key supplies. We expect the first 10 children to start using this facility next week. 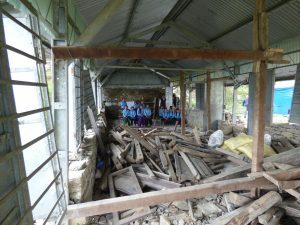 The government had intended (hoped) that schools might reopen mid-May, with the second quake this has now been put back to the end of the month. We are working, in conjunction with the local director of education to enable this to happen and have been making assessments of the safety of the standing buildings and what is required to prepare them for upcoming use. We are planning temporary tarpaulin based classrooms, replacement of whiteboards and text books as well as distribution of school bags to many children which will include protection against the coming monsoon and all they need for their schoolwork (courtesy of our long term partner School In A Bag). We are still focusing on short-term relief and the latest earthquake means that our efforts are now more important than ever. However, our focus is increasingly on the reopening of the schools and, as soon as we are able we will make an assessment of what is required for the repair and re-building of damaged schools, ensuring that we continue to deliver on our objective of facilitating education in the region.